The interesting question for me is, in the situation where you are allowed to buy more than one square, can you push the odds in your favour by buying multiple squares in the same column or row, or is the better strategy to make your squares independent? I think you’re better off not buying single rows or columns, because there are more low-probability numbers than there are high ones. 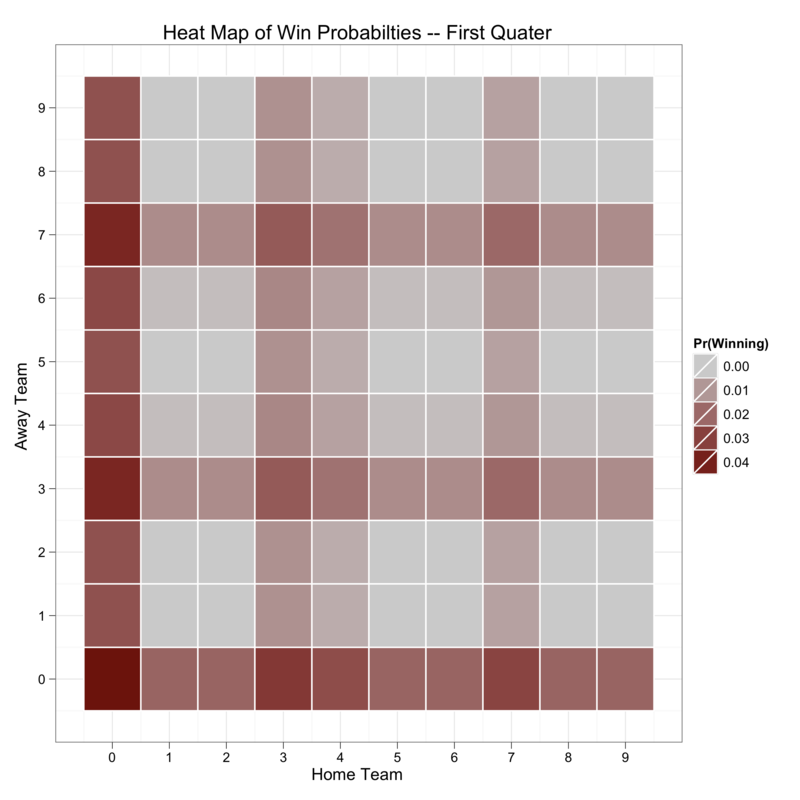 It doesn’t matter because both the home and away digits are randomized (see the image of last year’s boxes) . 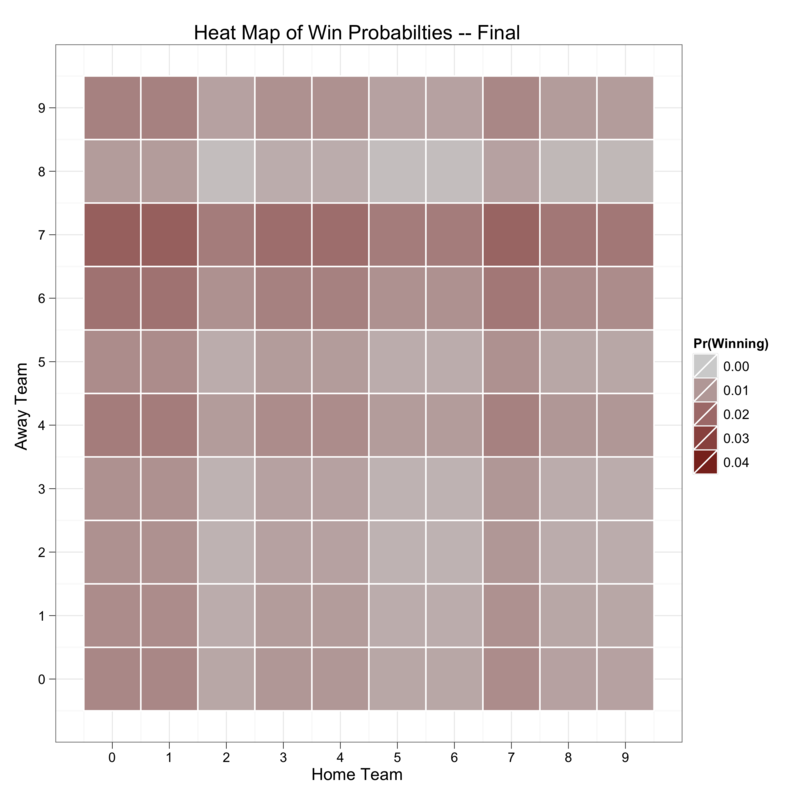 Do you think that, if you had more data, the “Final” plot would be more uniform? Also, and apologies for not knowing anything much about American Football, but what’s important about a 7 score? Is there a good reason for this being a good bet? For example is it a combo of likely events or something (like a converted try + drop goal in rugby)? The primary means of scoring in football is the “touchdown,” which is worth 6 points, plus the opportunity for an extra point. As such, if a team only scores a single touchdown then they get 7 points. The secondary means of scoring is a field goal, which is worth 3 points. As such, scores that are some combination of these are quite common, which happen to often end in 7; particularly 7 (1TD), 17 (1TD +2FG), and 27 (3TD 2FG). I just stumbled across your blog! Awesome post! I said that’s a bad strategy, because you’re only giving yourself one chance at nailing the Pats’ score. probability, as they would if the sport were, say, basketball. only one guess.” That didn’t sway him. Your friend is correct. However, he is setting himself for more extreme odds after the numbers are drawn. For example, if his single row is for a 2 then that will give him some of the worst odds on the chart. However if his single row number is 7 then that will give hi some of the best odds on the chart. use superbowlbox.net to create your office pool. Drew, I created a quick mobile app today to tell me my odds during the game in case I forgot. 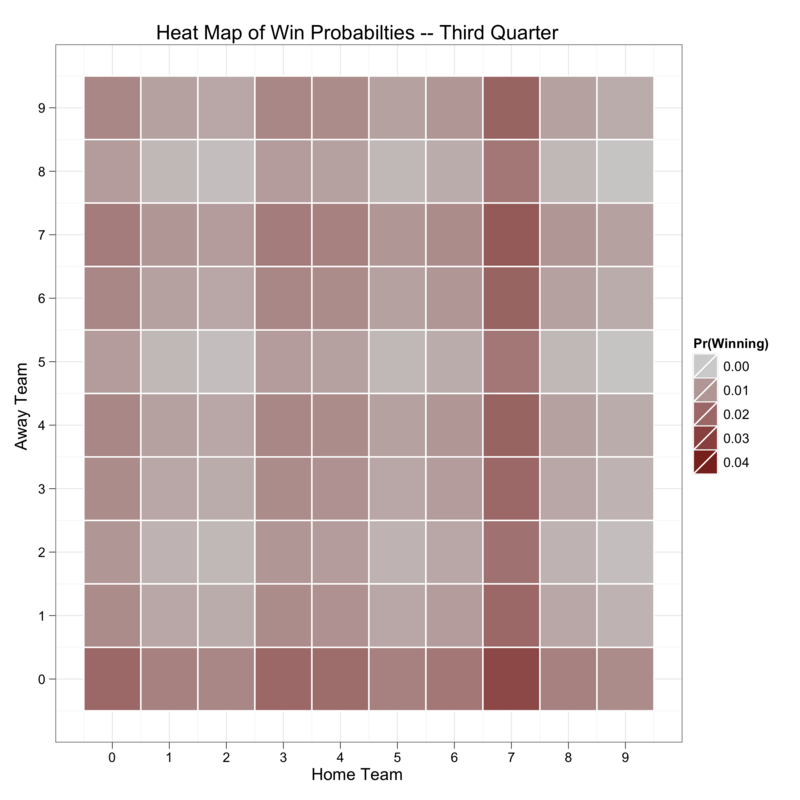 This is based on 7 years of NFL scores gathered by http://caseyshead.com/2013-super-bowl-squares-odds/ . What I was specifically interested in was their “per quarter” data, which I think is very important to realize as you mention above, increased variance in possibilities is related to time, and due to such is an abstraction of the second law of thermodynamics. The app I put together is pretty rough (I did it in between lunch and the superbowl) http://footballsquares.azurewebsites.net/ and takes your teams single digit score number as input.